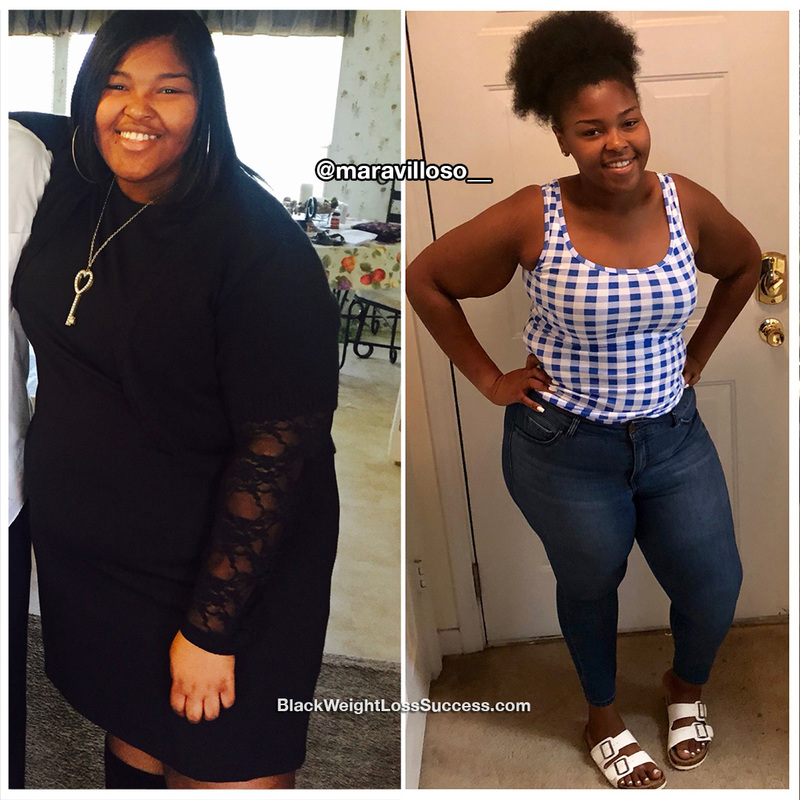 Transformation of the Day: Quashema lost 82 pounds. This young lady wanted to avoid a family history of illnesses like high blood pressure and diabetes. 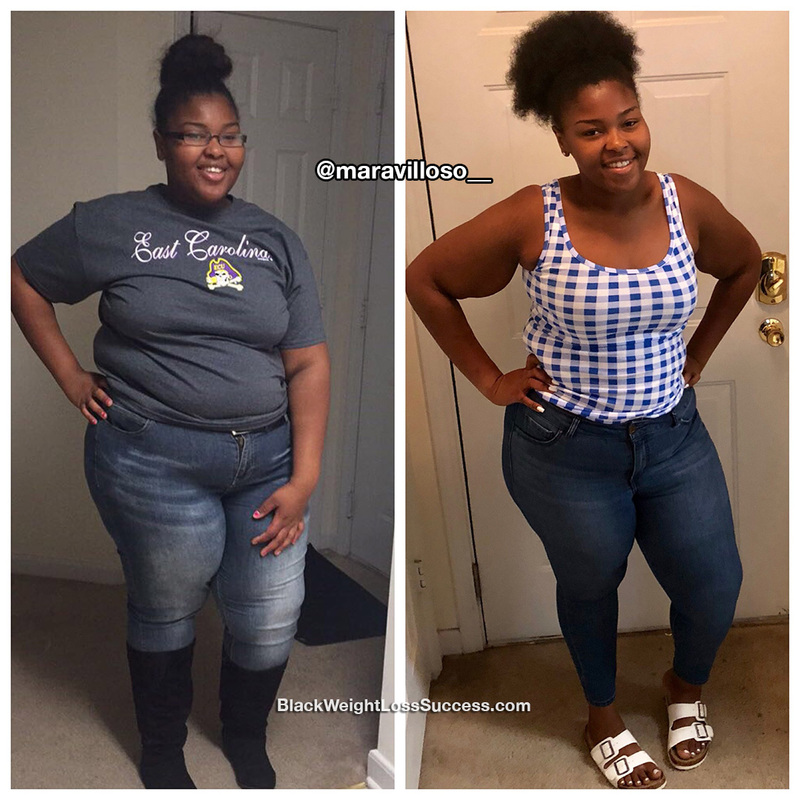 She changed her eating habits, tracked her calories, and worked out daily to release the weight. Check out her story. I came from a family with lots of health problems, such as high blood pressure, diabetes and so on. I wanted to make a change. I used the app MyFitnessPal pal to track calories and exercise. I only ate 2,000 calories of day and went low carb, high protein. I had to cut all sugars from my diet. I also drank lots of water… up to a gallon a day. I worked out everyday doing cardio. The treadmill and elliptical machines were my friends. I tried to incorporate 45 minutes of exercise daily. My starting weight was 307 pounds and my current weight is 225 pounds. I’m 21 years old and my height is 5’8″. I started in January 2017, so it’s been a 18 month transformation. I’ve learned that you never give up, no matter how hard the battle is. There’s a winner in everyone. All it takes is dedication. I would let them know that it takes motivation. Once you start, you’ll never stop. Great Job, you look even better. You were sl aye very pretty. Gorgeous …..Congrats on your success.